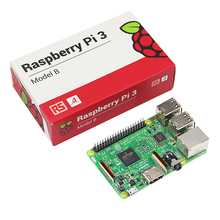 As part of my SmartHomeDIY project (open source), I need as small and efficient server which could also talk to my Arduino stations that are using RF24 module, so for the rescue came my Raspberry PI and it's serial GPIO pins. All of my Arduino stations are talking to each other with the RF24 module (connected via SPI) and I needed a fast lightweight server (and small in size) to talk to that network. So I figured why not connect a serial device to the PI GPIOs and through this device I will talk to my network. This device can talk via serial and forward everything to the other side BT device which is connected to an Arduino which in turn checks the commands and forward these commands to the specified Arduino station via the RF24 module, we will talk about the protocol and the BT device configuration in a moment. BE SURE TO DOUBLE CHECK BECAUSE THE PI DOES NOT HAVE PROTECTION CIRCUITRY - YOU CAN BURN YOUR PI FOREVER! 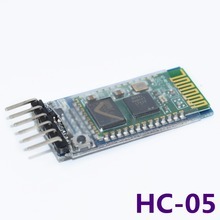 To config the 2 BT modules to talk to each other and act as an over the air UART we will need to enter the AT command configuration mode, to do that we will give power to HC-05 while key pin is connected to Arduino pin (9) and pin (9) is already HIGH (or other pin you wish to use or any HIGH level source). Note the BT serial baud-rate is correct - regular operation (getting and sending data) is used on a different baud-rate then the configuration mode, for configuration mode use: 38400 for operation mode you can configure what ever you need. The salve will be set to AT+ CMODE:2 (Which means "Slave-Loop" - which will make the auto connection work). After all these commands the BT modules should be binded and auto connect always. And the attached AT commands HC_05 reference PDF at the bottom. After all the configurations, if everything is fine, the BT modules will blink at a slower rate, which indicates that the modules are in sync and connected to each other. note that every time you will reset the modules they will blink fast until connected to each other and in sync, I am using that indication a lot, for example to see if the modules are in range when installed in my house walls. Install it as any node module. Here is the code for the dispatch station. Important parts of the code are highlighted here. To trail and error with Arduino sketchs you will need some tools, one of them is an oscilloscope, lets learn the basics of this important tool. for example you could check an Arduino PWM signal with this tool and measure the duty cycle, voltage or if it is even working at all. This is a starting level device and it has it's limitation but it is cheap and will do the job. 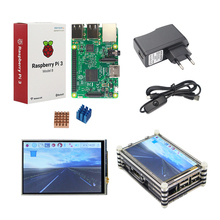 It does not have it's own display like and expensive, portable and professional ones, but it will rather connect to your computer via USB and you will see the signal over the computers screen when lunching the application that comes with it. As I was building my SmartHomeDIY platform (OpenSource) one of the first things I was looking for (except of debug tools and board), was a bootloader for Arduino which supports over the air flashing of the internal sketch. 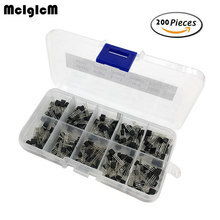 I needed this because I was about to mount all the Arduino board inside my wall, and I did not wanted to take them apart every time I had a bug. So the way to go, is over the air (OTA), which Arduino does not supports out of the box, so lets learn how to do exactly that. If you do not know what is a bootloader please read here. So, to start with I needed an open source code that has a modified version of the original Arduino bootloader or a custom basic bootloader like this one. What this code does is not too complicated. If it gets it then he will flash and override the sketch that is already there. if it does not get anything (timeout) it will just start the sketch that is already there and run it in a loop. Find a way NOT TO BE RESETED BY THE USB PORT. Override the sketch on the remote station. The code over optiboot-nrf24l01 is the one responsible of capturing the bytes on the remote station and overriding the sketch there. But we still need a local flasher program which was also forked and modified by the same guy here. This code is responsible to get the bytes (sketch data) from the computer and forward theme to the remote station. The problem that I had is that every time I was trying to flash the remote station I was eventually flashing the local station. 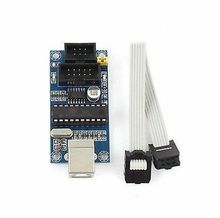 This way when ever the USB driver is trying to reset the board it will fail but will continue with the flashing process. ​The above is the hardware setup as I was using it, note the 10uF capacitor. The led here is just for debugging. I used it to make sure I am getting the bytes and was really thing to forward them to the remote station (write the to the rf24 registers over SPI). First this is to compile the bootloader once you have that you can run avrdude commands against it in order to flash the remote station. by the end of this process you should have an bootloader.hex file. Note the 0xDA on the first command - it will not work without it. 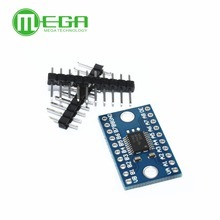 optiboot_atmega328_without_watchdog.hex is the compiled bootloader hex file. Great! now our remote station is ruining our new bootloader! ​All that is left out is to run an avrdude command to flash the local station as if it the remote one - we will just flash our hex file (the same way Arduino IDE does behind the scenes). I usually just copy it to my avrdude directory and flash it from there. To read more about getting the sketch hex file read here. If you need more here with flashing the boot loader check this. use my code for debug with LEDs for the bootloader and the flasher if it does not work for you - it will light-up some LEDs to let you know packets are flowing over the air. if need to learn how to turn led on and off in bootloader mode, read this reference about Port Registers manipulations. In my case the sketch that I needed was using RF24 communications as well, so I needed the boot loader and the sketch to use the same RF24 library so I used mirf24 lib . that way once the sketch is loaded so it will be able to reset in to boot loader and flash (registers state on the rf24 board stays the same and this make the process work better). Note that timing here is a problem so you might need to rest the remote station manually for trail and error with the reset button on the remote Arduino station. Fill free to comment or email me with questions. If your are learning to code to Arduino and you write your own sketchs sooner to later you will need to learn about avrdude, so let's do that. ​avrdude is a command line utility developed by Atmel. It is used to burn sketches to your Arduino, configure your Arduino register and fuses and also flash a different bootloader then the stock one for example the optiboot a smaller bootloader which will free up some memory space for your sketch. ​This command will burn your Arduino with custom bootloader hex file. Check out this article about this custom bootloader to learn more. You can learn how to install it here. 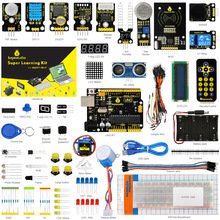 if you are not familiar with adafruit you should definitely do so. This site by ladyada explains everything you should know about avrdude commands. While building my SmartHomeDIY project I encountered a problem trying to use multiple SPI devices connected to the same Arduino. Although the SPI bus should support multiple devices at the same time (toggling the Chip-Select line), this does not always work (mostly due to part using the bus not respecting the chip select or other configuration issues). IR Station using multiple SPI devices. The above station is an IR recorder and transmitter station. It can be set into recording state which then saved the recorded IR-in data into and SDCard connected over SPI. But when not in recording mode it will listen over the RF24 (also connected via SPI) for commands. To do that it will again have to move to SDCard mode and read the previously recorded data and retransmit it over the IR out LED. They just CUT the lines of the component which is not being used at the moment and there for prevent the SPI lines collision. Note that it does not matter which type of project you have. You can always do the same transistor-switch trick to cut of the problematic SPI lines while using the others. It will not work if you design you transistor configuration as usually suggested, which means to set a logic level by design at the output of the transistor so that the base will toggle the out voltage (same as an amplifier). So it took me some time to figure out the right transistor values and configuration. 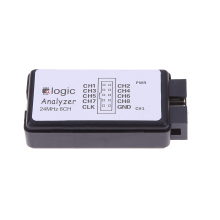 For trail and error I used this logic analyzer 8 logic lines or better yet one of these pro logic analyzers or one from ebay and there is also a very cool one which has 8 digital channels and one analog - perfect for beginners. 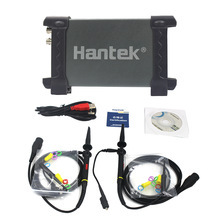 You could also try this Hantek 6022BE PC USB Digital Oscilloscope which is working perfectly on Window 10 environment. You could also use this logic multiplexer [8 Channel Logic Level Converter Convert TTL Bi-directional] to do the same job which I have not tested yet.